Show the mechanical advantage of the wheel and axle. The rod can be clamped to a support stand using a right angle clamp for multiple uses! 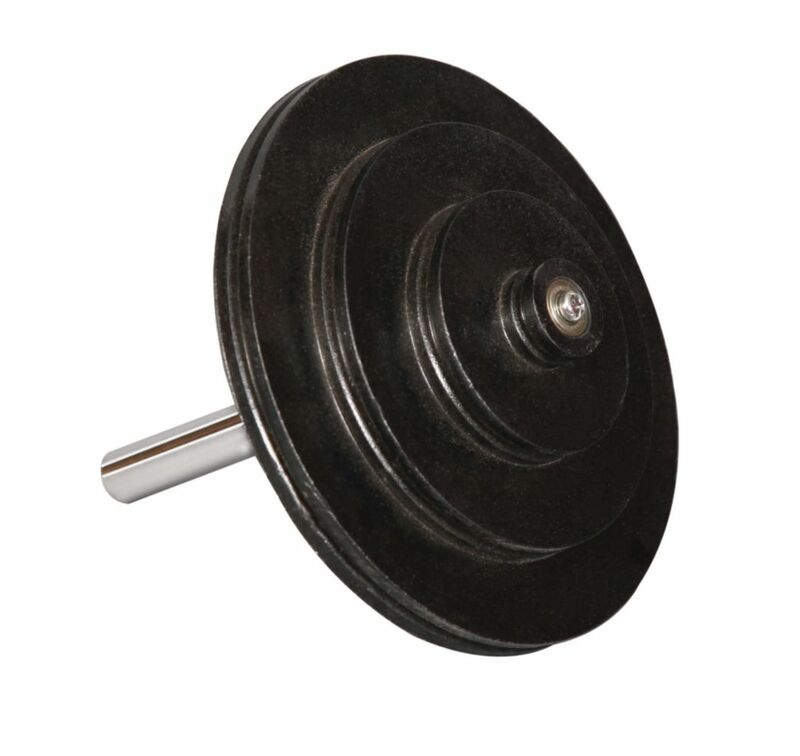 The pulley is stepped with 35, 50, 65, and 105 mm diameters, each grooved to allow several turns of cord. It is fitted with ball bearings that turn on a steel rod.